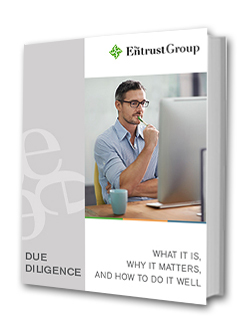 This report describes the investor’s role and takes an in-depth look at the process of conducting due diligence for the most popular self-directed investments. It is intended to be used as a resource for all investors seeking further education in their investment strategies. Your role and responsibilities as a self-directed investor. Questions to ask investment providers. Performing due diligence on the top 3 self-directed IRA assets. We believe that due diligence is key to successful investing. Therefore, we focus on providing resources, such as this Report, to help educate investors in their responsibilities for self-direction. Self-directed IRAs provide tremendous opportunities in growing an individual’s nest egg. The role of the record keeper, however, has limited responsibilities when it comes to investments. IRA holders should do their own research before investing.